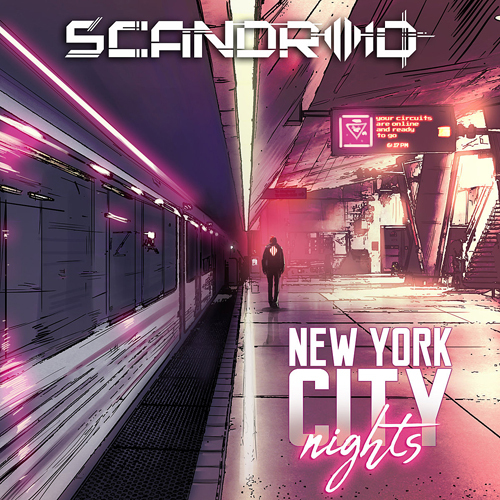 Prolific musician/producer Klayton has announced The Darkness and the Light as the title of the upcoming third album from his new wave project Scandroid, with the album’s second single, “New York City Nights” to be released on June 8. Both this song and the first single, “Time Crime,” showcase the evolution of Scandroid to feature even smoother and more emotive vocal melodies supplemented by the requisite pulsating synths and topped off by a helping of bluesy saxophone, giving the music a distinct ’80s urban noir flair. “Time Crime” was released on January 12 of this year, followed by the Dreams in Monochrome remix companion to Scandroid’s sophomore record, 2017’s Monochrome. A release date for The Darkness and the Light has not yet been announced; “Time Crime” is available to purchase with an official lyric video available on YouTube, while “New York City Nights” can be streamed and pre-ordered via Bandcamp.